ATS Picturesque Reprieves sector 152 Noida is offering Modular kitchen & 5 split ACs in each flat. 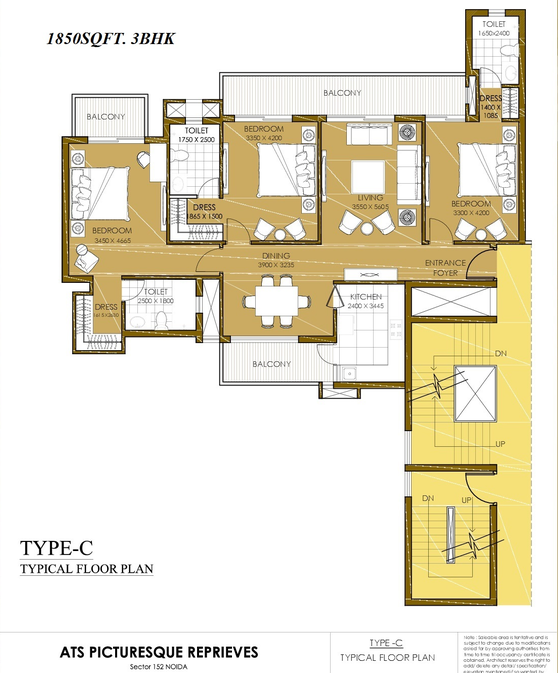 Each flat will have two basement car parking and club membership and flat is designed Vastu friendly. Each tower is getting enough sunlight and air inside the flat. ATS Picturesque Reprieves will be an example of adequate greenery along with water bodies and fountains. 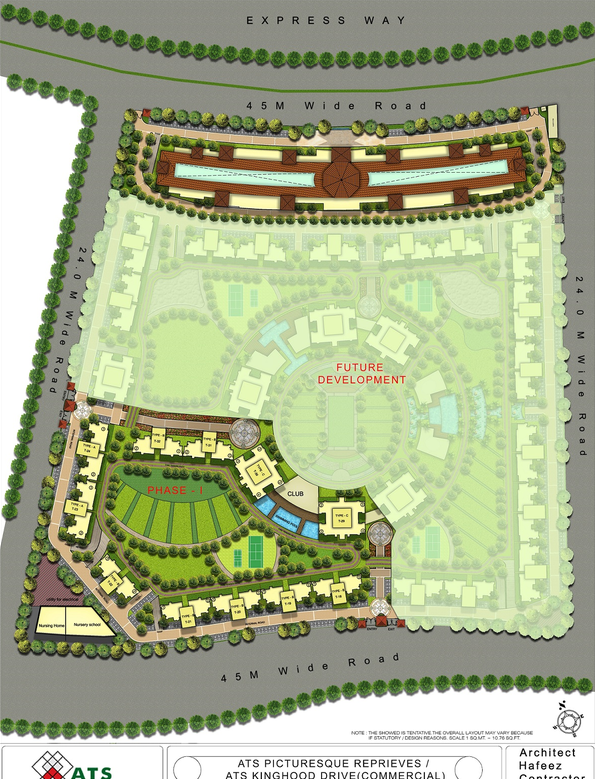 ATS Picturesque Reprieves is the latest residential project of ATS Group that is spread over a total area of 35 acres. 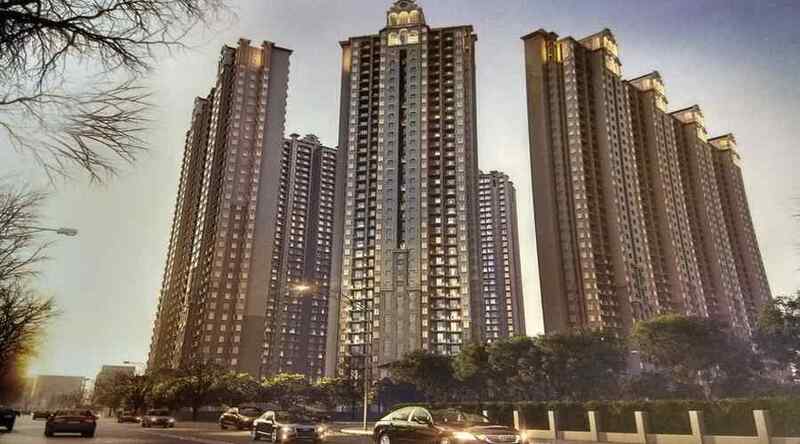 Containing 11 creative highrise buildings with 36 floors offers 3BHK and 4BHK apartments that are filled with extreme comfort and supreme luxury. With apartment carpet area sizes starting at 1850 sq. ft. and going up to 3200 sq.ft. 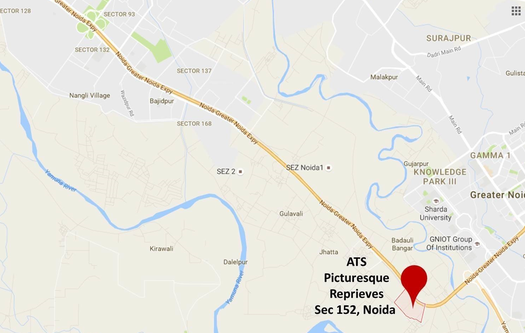 ATS Picturesque Reprieves ultimate apartments are filled with big rooms, modern-day fittings, elegant kitchen, decorative doors, windows, intercom facility and a lot more. The external amenities are extravagant and include a clubhouse, swimming pool, gym, meditation center, library, sports facilities and play-zone for your children, healthcare facilities, multipurpose hall, Wi-Fi security, and high-end security. 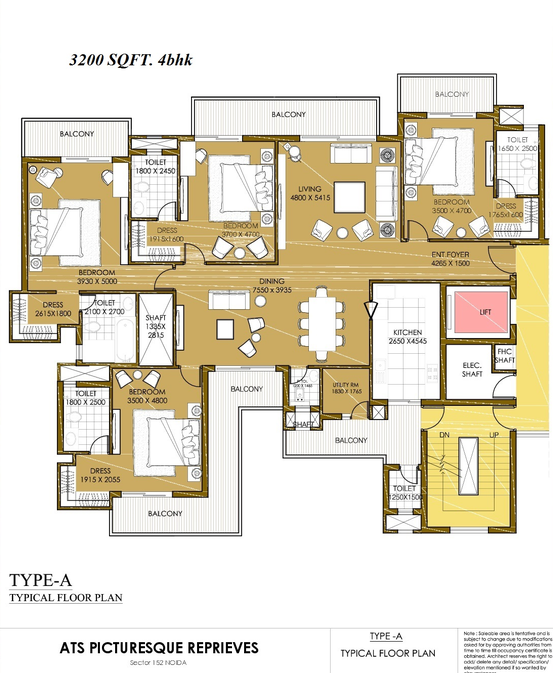 3BHK 3 bathrooms 1850 sq.ft. 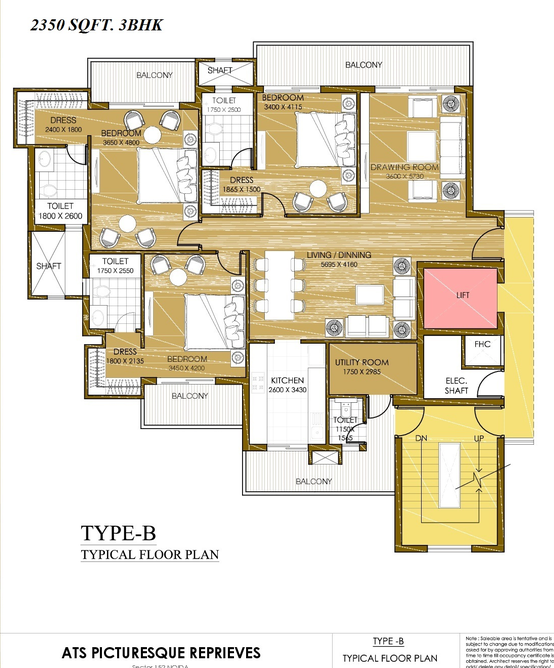 3BHK 3 bathrooms with servant room 2350 sq.ft. 4BHK 4 bathrooms with servant room 3200 sq.ft.